Floating In | Just Shooting Memories! When you go to an air show, you get to see airplanes landing and taking off. 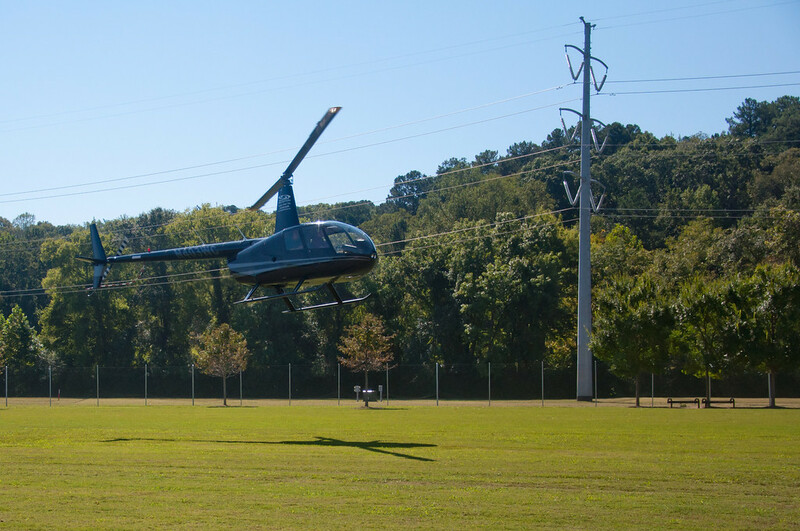 So, it stands to reason that when you go to a helicopter airshow, you get to see helicopters taking off and landing. I spent several minutes shooting the helicopters at the American Hero’s Airshow in Canton. They had a couple set up giving flights. The park that they had the airshow at is not very big and is right against some heavy duty overhead power lines. I had the shutter speed set at 1/4000 of a second to get this. I almost got the blade stopped.